Intel took the stage at Computex today to announce its new frugal Core family with the Haswell build, as well as the new Silvermont architecture in the Bay Trail and Merrifield family that are "not your mother's Atom", meant for powering phones and tablets/convertibles. The myth that Intel will never be able to get power down low enough to get into phones is gone. That debate is over. 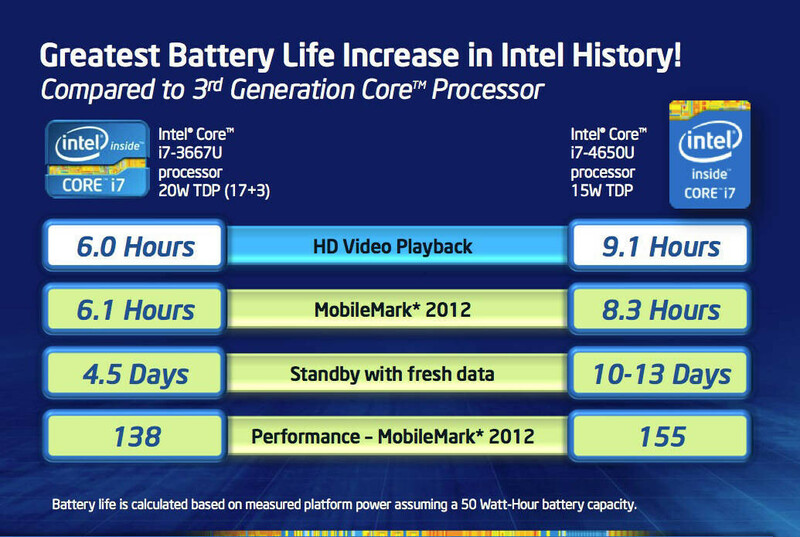 Not that Intel has accomplished all of its low-power goals. You can argue with me about whether we have the full SoC integration, we don't have LTE yet – but we're getting close there. I'm fine with that conversation. But the myth of not being able to get into phones or to get power down low enough is done. Even the LTE part of his statement was debunked by Intel showing off a mobile SoC with integrated broadband LTE radio with global reach, that is slated for release later this year. Intel's VP commented on their lack of US mobile presence: "Absence of LTE is the reason. We can't get ranged by US carriers without LTE, so once we have multi-mode LTE coming to market later this year, we have an opportunity to compete in that business." The other sign of things to come they demoed for a brief second is a fanless tablet with a new Core processor inside, which will allow some slim and light designs running the full Windows 8 experience, for instance. All in all, Intel is seemingly getting its mobile ducks in a row, landing in a lot of tablet gear running Android yesterday, even by the juggernaut Samsung, which resulted in ARM's stock prices nosediving in that session, and Intel rising up. 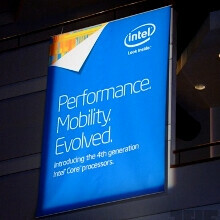 I believe Intel will make significant progress in the mobile space. Asus and Samsung's tabs even using Intel processors are already an early sign of their success. You can't compare an A15 processor with an Intel x86, the Intel it will simply blow away any A15 processor on the market, because of the many instructions of the x86. Considering last years Clover trail was a match for the A15, Bay trail should blow it out of the water. no intel, samsung invented their own processors. Samsung FTW! i can't see no Exynos in PCs, laptops, ultrabooks or any other form of computers. stfu. samsung is no where near intel in processing. Wait, samsung invented their own processors? I thought they were licensing their processor designs from ARM, and Intel was the one designing and building their own processors. Thanks for clearing that up for me.